We are specialized in offering a wide range of seat rings of satellite material that are high temperature valves. These seat rings are available in various customized sizes and dimensions to suit the diverse requirements of our clients. before dispatching these rings in market our professional conduct various tests to ensure their functionality and performance. 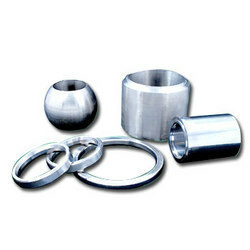 Our company has gained name and fame in presenting Metal Seat Ring. Keeping the diverse requirements of the customers in mind, our company provides supreme quality range of Seat Ring. This Seat Ring is designed by using quality material which we buy from our trusted and reliable vendors. Our product range is extensively used in different automobile industries. 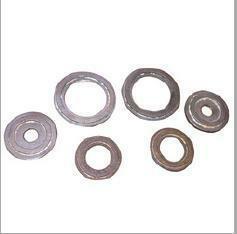 The seat ring offered by us is widely used as a ball valve component in the automobile industry. It is manufactured using alloy steel, carbon steel & stainless steel and with the assistance of hi-tech machines. The ring is offered in numerous specifications so as to fulfill the specific demands of the clients. The seat Ring is the primary device used for sealing of ball & Body, body adapter, etc. We incorporate sizes ranging from 2inches to 10 inches in this particular product. We can also facilitate seat rings in sizes and designs as per the requirement of the customer. Keeping the diverse requirements of customers in mind, we are instrumental in providing Seat Ring. Deals in anything and everything in PTFE & filled grade PTFE. As one of the most responsible and efficient companies of the whole nation we have been dexterously been able to deliver with a rich assortment of Seat Rings.